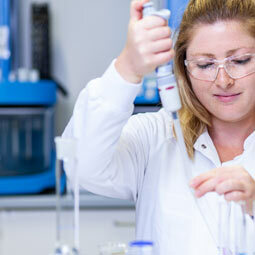 Our highly experienced team can develop potent (OEL 3) and high potent (OEL4) APIs, with challenges relating to solubility, degradation, stability, dosage or bioavailability. 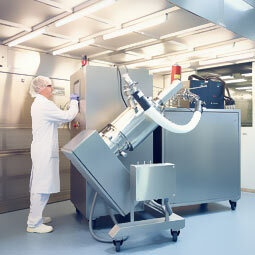 We use isolators for high risk operations (e.g. 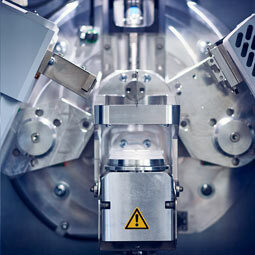 weighing, compression) and split valve technology for transporting materials (e.g. for milling). Losan‘s high shear granulator/mixing equipment operates under reduced pressure with a high SHE standard enabling us to work with organic solvents. Powders and granules can be further formulated as tablets and finally coated in a containment coater (immediate or retard coating). 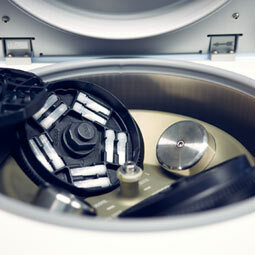 The no contamination risk during use with high potent drugs makes film coated tablets make the preferred option for patients. 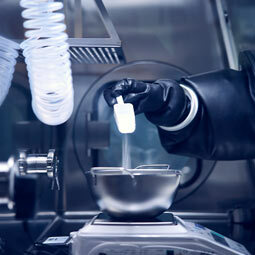 At Losan, we offer formulation development starting with small lab scale trial amounts (e.g. 100-200g, DoE concept possible) up to larger pilot trial amounts (e.g. 10kg). 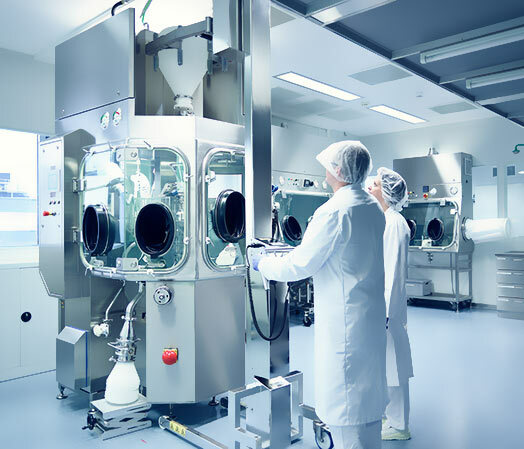 With our partnering concept and one-stop-shop service, packaging and clinical trial manufacturing including process validation and set-up of commercial manufacture is done in a under the guidance of our team of experts. Liquid dosage forms for oral applications can be useful for speeding up development for proof of concept in animals or humans or simply for easy application for children or older patients. The formulation of solutions and suspensions must be done in a stable way to avoid physico-chemical changes like degradation or agglomeration (suspensions). 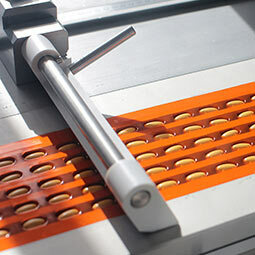 Using Laminar Flow systems, filling can be done to reduce the microbiological and foreign particle burden during operations. 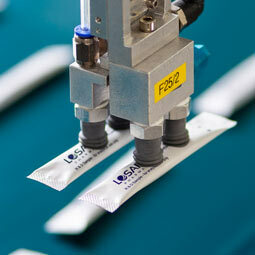 Losan offers a variety of different primary packaging components (bottles, syringes, vials) for filling as well as DoE studies. Under our team’s guidance, we do the packaging and clinical trial manufacture for potent drugs (up to OEL3b), in-house with our partnering concept and one-stop-shop service for high potent drugs (OEL4). A high number of drugs are still applied instead of injections s.c., i.m. or i.v. 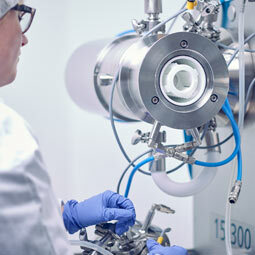 Our experienced team of development experts can offer formulations development for potent and high potent compounds to ensure solutions or suspensions are stable enough for the desired packaging units (syringes, vials, bottles, carpules, PENs, autoinjectors). We investigate various Quality Critical Attributes (QCAs) during development by simulating the process conditions with the aseptic equipment (e.g. double jacket stainless steel vessels, filtration adsorption, filter integrity) we have available and also offer DoE trials and final assessment. Our experts can formulate both potent (OEL 3) and high potent drugs (OEL 4) in lab scale with low amounts (gram scale) and pilot scale of up to 100L. 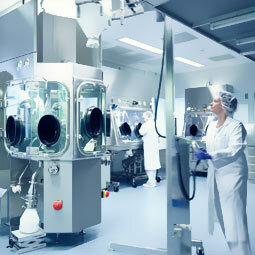 Losan can provide the transfer of the developed aseptic process to the desired manufacturing site as well. 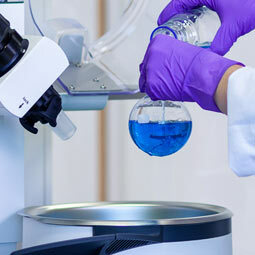 Losan‘s nanotechnology platform provides us with a new and innovative approach for offering low soluble compounds from screening (mg scales) up to pilot scale (10kg) for early, pk and tox studies. Our silica mesoporous platform can embed poorly soluble APIs in an amorphous form into the silica matrix.